There are massage chairs and then there are BodyFriend massage chairs. 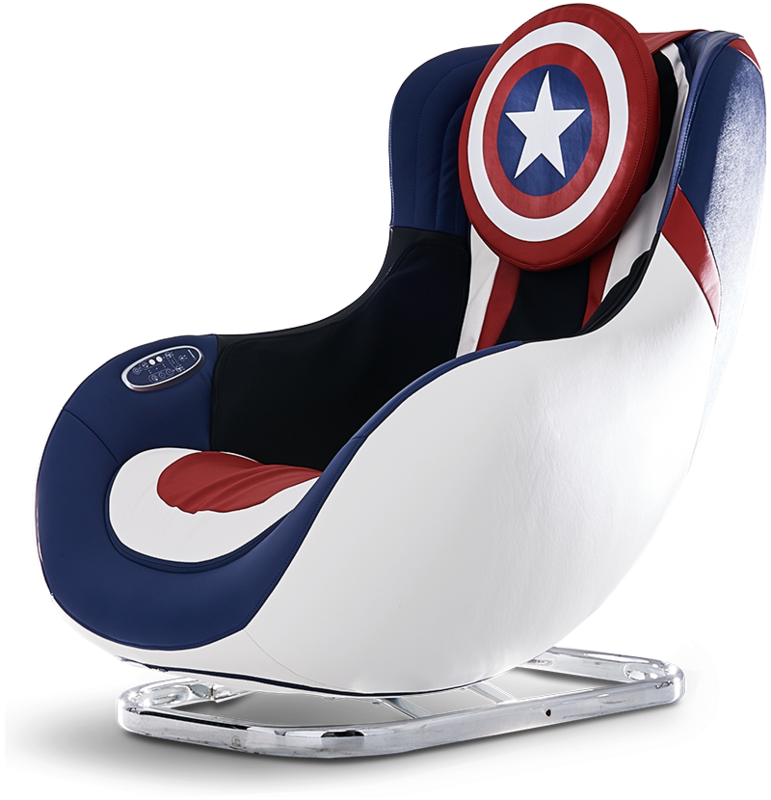 With these chairs, it’s not so much getting a gentle pummelling from a recliner as putting on Iron Man’s exoskeleton with Jarvis as your masseur. 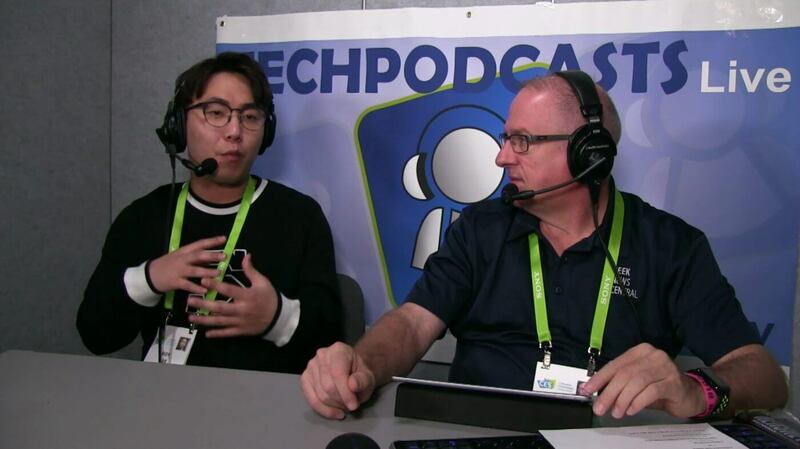 Todd gets a sensational experience with Roy. 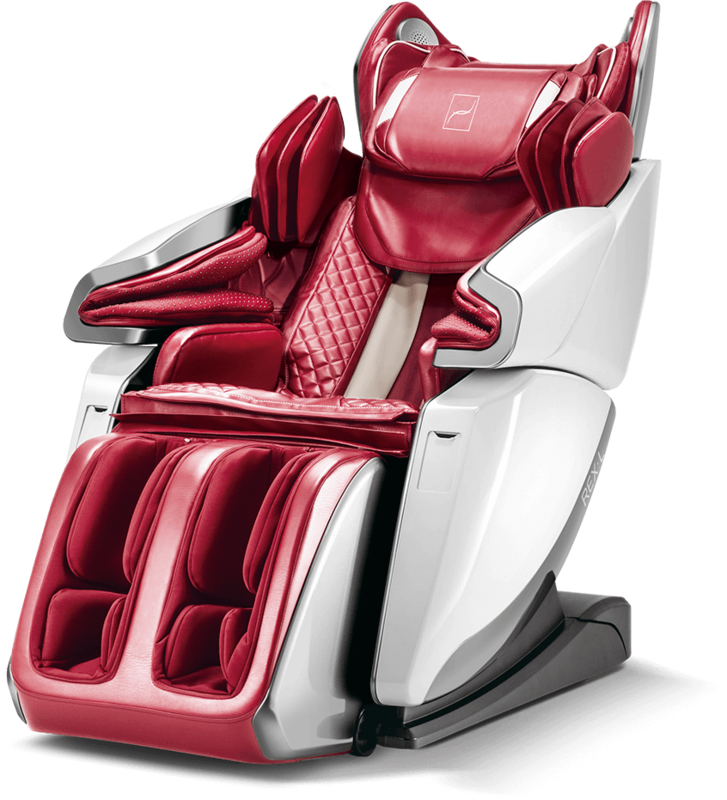 The premium BodyFriend chairs provide full body massage including shoulders, arms, waist, legs and feet, with more than a dozen massage modes (depending on model) including brain concentration and digestive massage. The brain massage uses sound waves to soothe the grey matter. There’s built-in heating, stereo speakers and Bluetooth. Most recently, BodyFriend has partnered with Lamborghini for a new chair which is expected to ship in spring 2018. Other BodyFriend chairs are on sale now in the US with prices from US$5000 to $9000. 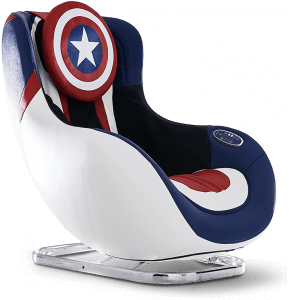 BodyFriend have partnered with Marvel for themed hugchairs including Spiderman and Captain America. Priced at US$1580, these are aimed at children and grown-up kids while providing a massage experience in a smaller, friendlier chair.